Discover Florence monuments through the most fascinating love stories of the city! Florence in love: discover the city following the traces of its most exciting Medieval and Renaissance romances! Are you coming to Florence with your partner or are you simply keen on fascinating passed love stories and secret passions? Here you find a tour that you can’t absolutely miss! Florence history, the city known as the “Cradle of the Renaissance”, is not marked only by the genius of great artists and power struggles between the most potent local families, but may be also narrated through captivating passions, intrigues and betrayals of common people and lords. Discover the streets, squares, palaces and monuments of the heart of the historical center, led by a professional and passionate guide who will take you to the places where the most poignant romances, the most secret passions and the most exciting intrigues and betrayals took place! Through this original itinerary, you will be able to explore the whole Renaissance and Medieval Florence and admire the most important monuments and sights of the city, in the name of the most engaging local passions and love stories. 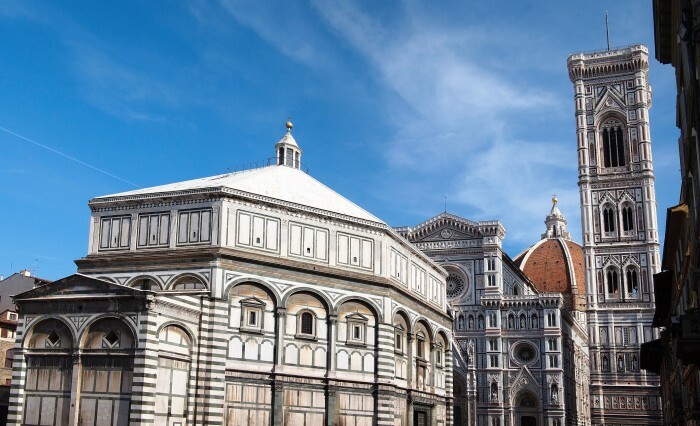 The tour begins in the religious heart of Florence: here you will be enchanted by the magnificence of the Cathedral and the famous Brunelleschi’s Dome, the Baptistery with the glittering Porta del Paradiso (Gates of Paradise) and the magnificent Giotto’s Bell Tower. This square has been as well the scene of a famous contrasted love story, an intriguing web of betrayals and tricks with a surprising epilogue! You will penetrate then in the medieval quarter, where, surrounded by narrow streets and tower houses, your guide will make you relive the atmosphere of that period. 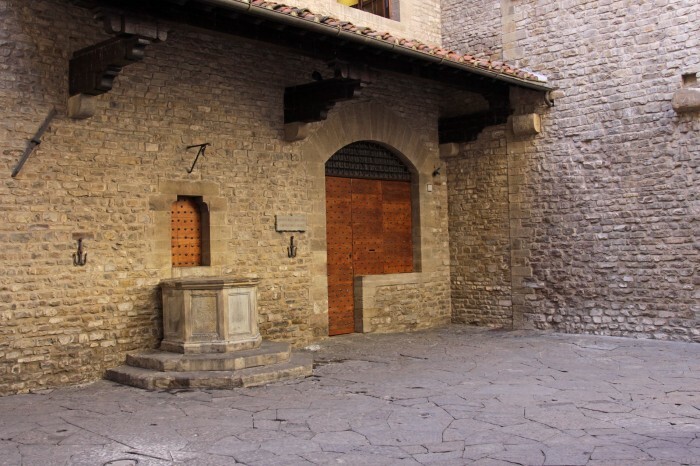 You will find yourself in the places of Dante Alighieri, who was born and lived here and of his wonderful Beatrice, angelic woman and muse of the “Great Poet“, to hear the story of their love affair, one of the most romantic of all time. 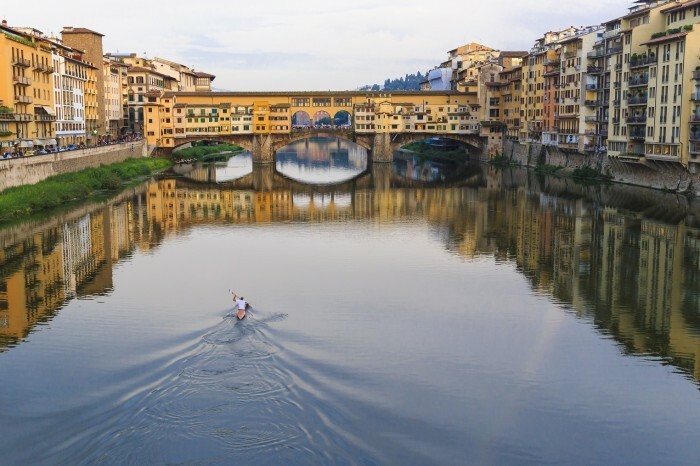 The walk reaches the famous Ponte Vecchio, one of the most evocative and romantic spots in Florence, where you will learn about the romance between two young Florentine aristocrats which triggered a conflict between their families that resulted in the bloody war between the Guelphs and Ghibellines. You will arrive then to the elegant Piazzale degli Uffizi, where to listen to the story of Simonetta Vespucci, icon of the Renaissance beauty, model of “Venus” and “Primavera“, the two masterpieces by Botticelli, desired and loved by nobles, poets and artists and of whom Giuliano de’ Medici fell madly in love! 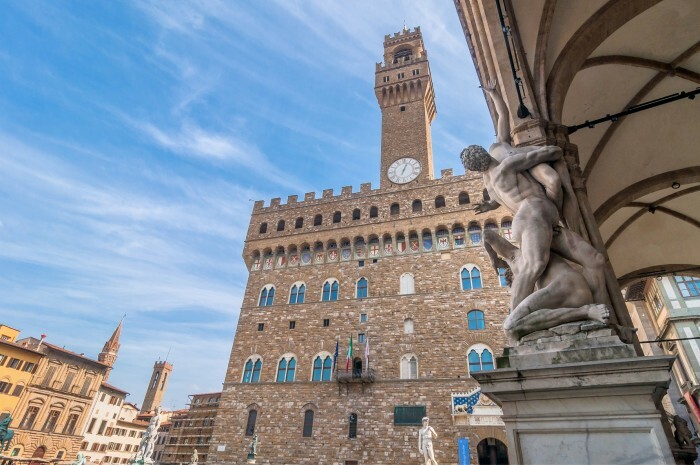 Finally, you will get to Piazza della Signoria, an amazing open‐air museum where to admire the imposing Palazzo Vecchio, the monumental Neptune’s Fountain, the perfect copy of Michelangelo’s David and the Loggia dei Lanzi with its wonderful statues. Here you will be immersed in the enthralling history of the Medici family, great lords and patrons of Florence. 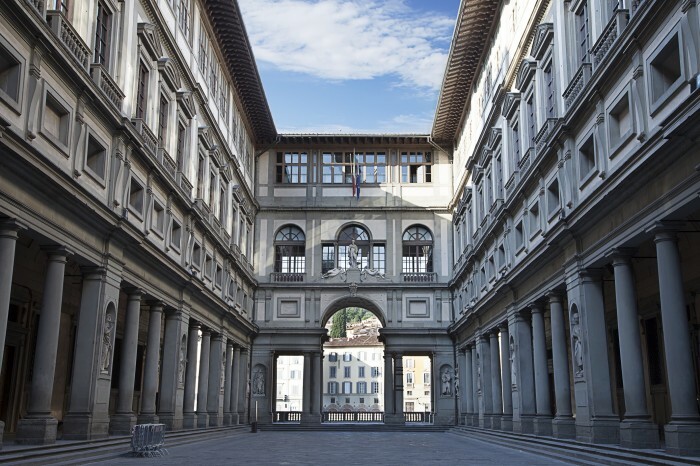 The fascinating story of court intrigues, arranged marriages, intense and secret romances born in the shadow of the most powerful Family of the Florentine Renaissance, will conclude your original city tour. Florence history and sights as you’ve never seen! Click HERE and BOOK your “Florence in Love” Tour! 66 queries in 2.518 seconds.